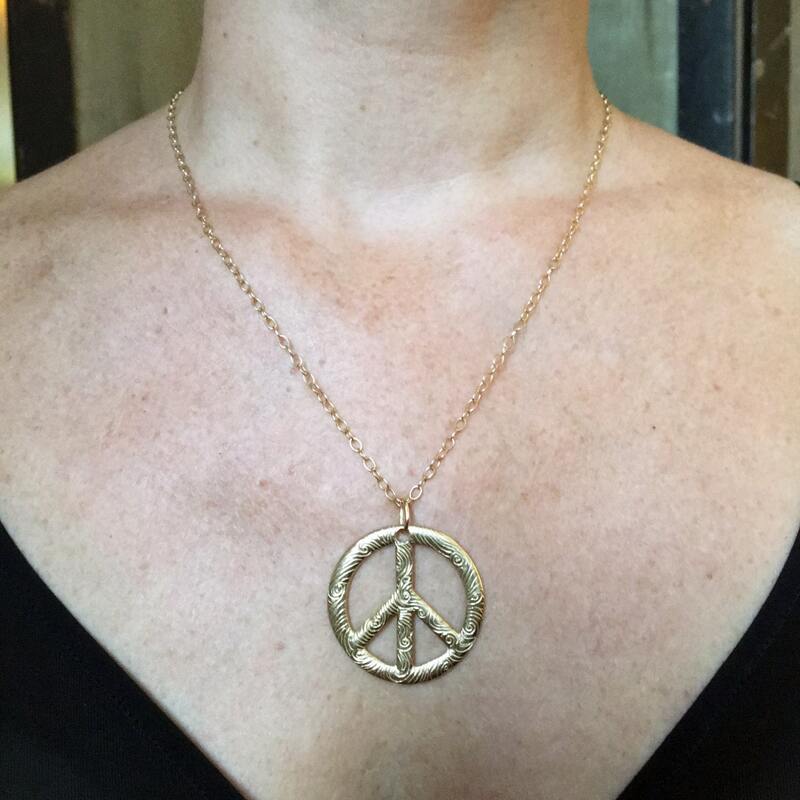 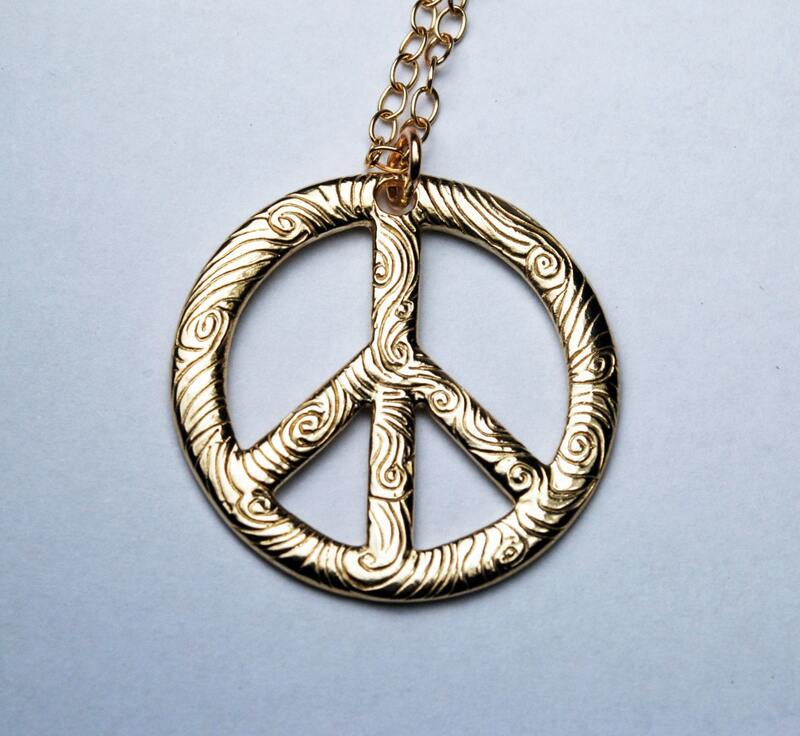 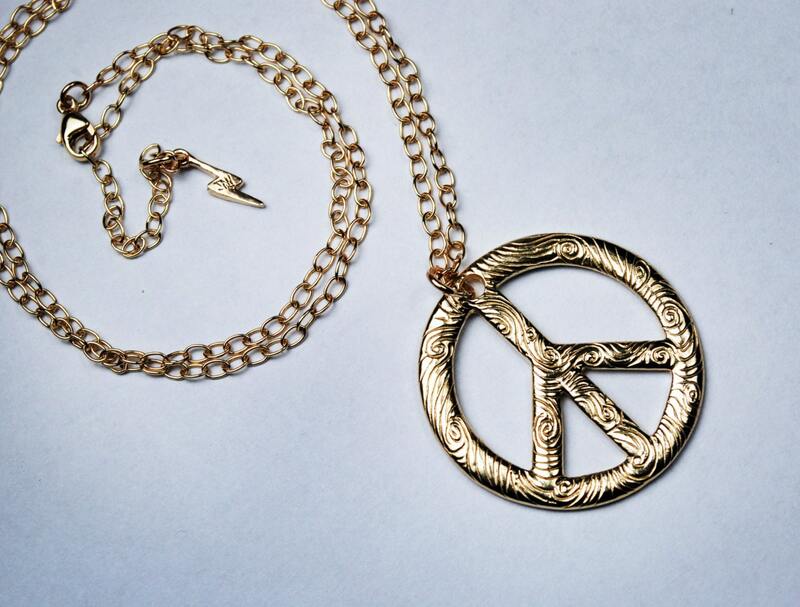 This solid 10k yellow gold peace sign measures approx. 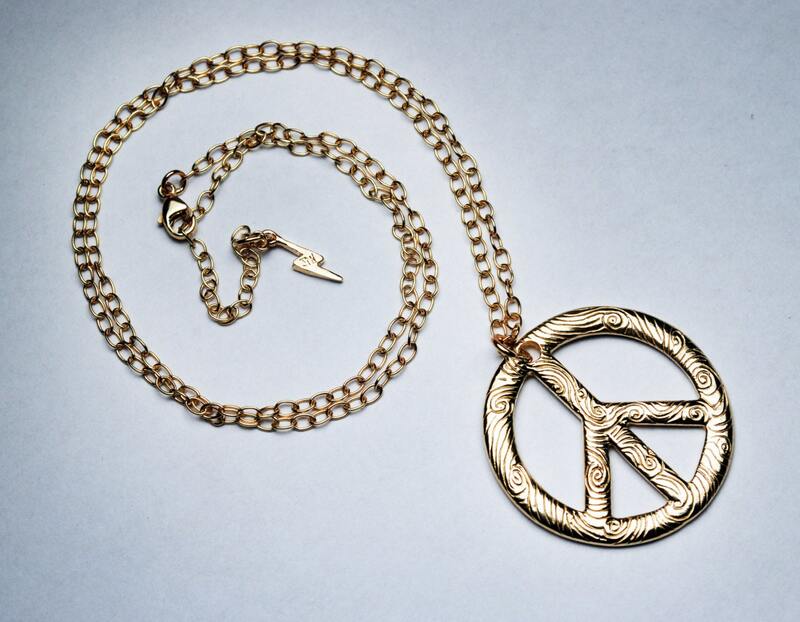 3.4 cm (1 3/8") in diameter with an approx. 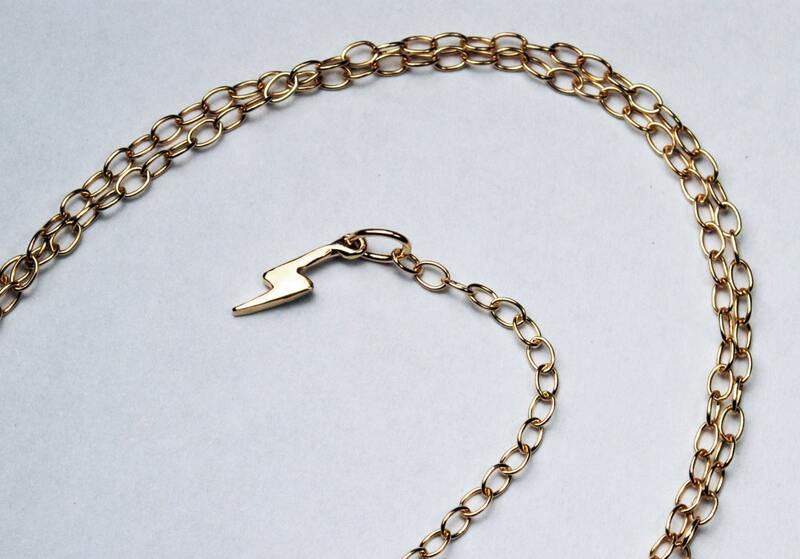 1.8mm thickness and is hung on a 10k yellow gold 57.5 cm (22 5/8") chain with 10k lightning bolt tag at the back.